If you are just looking at the most cost effective way to get you from A to B, get a standard bus. Still a great vehicle to transport you and your friends to where you are going but without the extras like party lighting. It is all about getting your from A to B in the most cost effective way! Our standard buses are a great cost effective option for getting to where you are going. These buses still have a sound system, so you can still have some fun on the way. 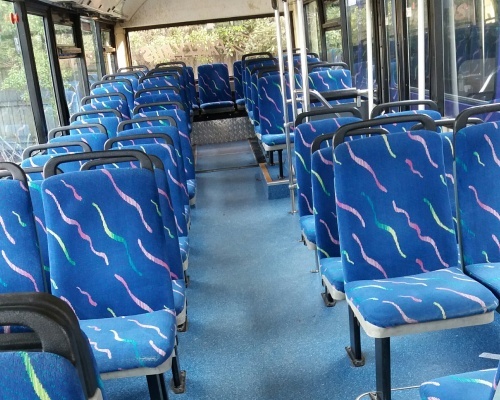 Each of our standard buses seat 45 but you can take 50 with standing. When booking a standard bus we still cover all the running costs and your driver.